Reviews — Indigo & Co.
Kristin was a treasure to work with! She would remind me to breathe every so often and that calm feeling after a deep breath really came across as happiness and confidence in the photos. She was amazing at reading how I felt in the moment and she helped me adapt accordingly. I walked out of the studio loving Kristin! 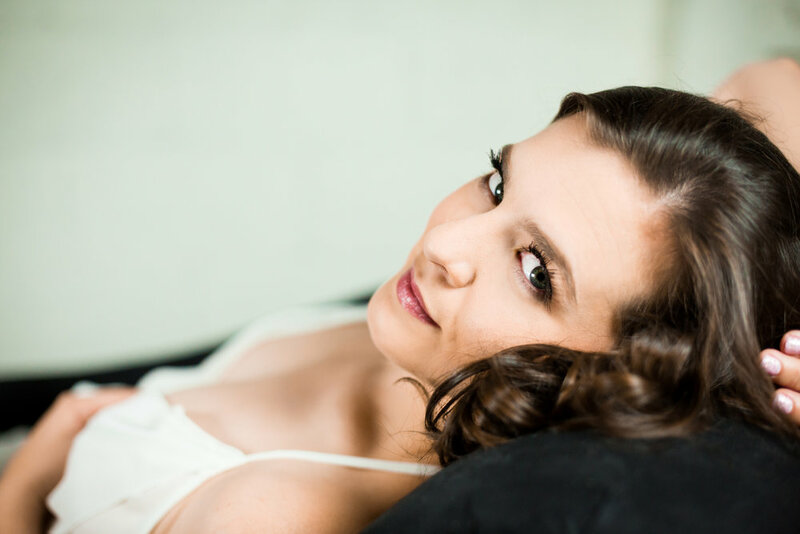 I had the pleasure of doing a boudoir photo session Kristin and not only was it an absolute blast, but the photos exceeded my expectations! I was a little hesitant about the shoot because I wasn't completely happy with how my body looked in lingerie. Kristin knew exactly what she was doing when directing me throughout the shoot and the photos turned out incredible. Kristin is an exceptionally talented photographer and an overall wonderful person to be around. Kristin is so talented!! She's so easy to work with and makes you feel so comfortable. Amazing work!! The session was fantastic. It was one of the most empowering things I've ever done. Everyone involved put you at ease thoughout the process and soon we were a giggling and having fun. Kristin has an amazing eye when it comes to capturing women on camera. She knows how to highlight our best assets and downplay the things we are self conscious of.